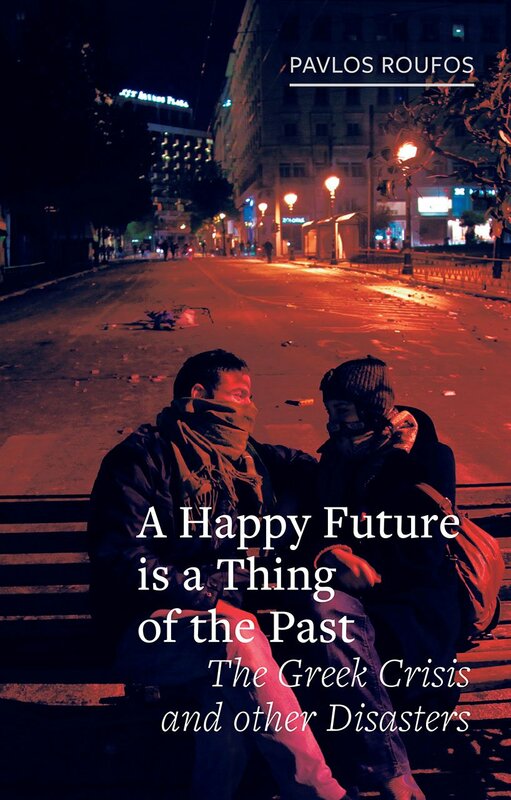 Pavlos Roufos presents his new book A Happy Future is a Thing of the Past: The Greek Crisis and other Disasters, published in association with the Brooklyn Rail. Setting the 2010 Greek economic crisis in its historical context, Roufos explores the creation of the Eurozone, its “glorious” years, and today’s political threats to its existence. By interweaving stories of individual people’s lived experiences and describing in detail the politicians, policies, personalities, and events at the heart of the collapse, he situates its development both in terms of the particularities of the Greek economy and the overall architecture of Europe’s monetary union. With both austerity and debt burdens still present, Pavlos answers the question, if the programs were doomed to fail from the start, as many claim, what were the real objectives of such devastating austerity? This broad examination also illuminates the social movements that emerged in Greece in response to the crisis, unpacking what both the crisis managers and many of their critics presented as a given: that a happy future is a thing of the past.